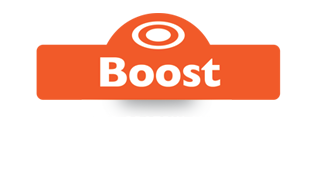 Fed as part of a farm mix or sprinkled on silage or other feeds, Boost will help your stock achieve target performance. Mineralised protein supplement for dairy and beef cattle contains ‘natural’ feed enhancer developed to assist rumen digestion. Live yeast cells stimulate rumen activity, improving liveweight growth. Non-GM soya, linseed and ES protein for maximum production. Urea to improve digestion and fibre breakdown. High levels of zinc for better foot and coat health. Sulphur for microbial protein growth. Declarable as a mineral in most assurance schemes. Non-GM soya, linseed and ES protein provide high quality protein. Contains urea to improve digestion and fibre breakdown. Contains sulphur to stimulate microbial protein growth. Protected fats and oils enhance palatability and improve coat condition. Calcium improves bone growth and milk production. Energy from protected fats and oils. Calcium and phosphorus for healthy bone growth. Trace elements help compensate for deficiencies. Protected vitamins for overall health.